As preparations heat up for Pope Francis’ 2014 Extraordinary Synod on the Family, it’s a good time to revisit some ideas for fixing what’s broken about the marriage preparation and annulment process in the United States. 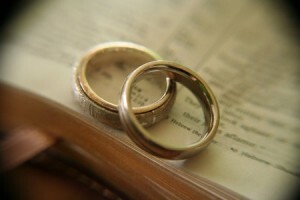 Catholic author John Zmirak recently asserted that we could fix Catholic marriage in five easy steps. But can we? Although thought-provoking, Zmirak’s proposals underscore the need for more thorough education about the annulments process among Catholics today, say some canonists. Let’s take a look at Zmirak’s five proposals and see what might work, what might not work, and what’s already being done. 1. Make NFP a non-negotiable part of marriage prep. Great strides have already been made in this area. Nearly all dioceses include a discussion of Natural Family Planning in their marriage preparation guidelines, according to a 2010 USCCB report. 43% of dioceses responding to the survey require an introductory session, usually lasting an hour or more. Seven dioceses require an entire course. Many more are strongly considering putting such a requirement in place. The problem is severe budgetary constraints. Most diocesan NFP ministries operate on less than $10,000 per year. “If not for lay volunteer teachers most dioceses would have no NFP program” at all, stated the report. 2. Require a Catholic prenuptial agreement. Zmirak suggests that all Catholic spouses should be required to sign a prenuptial agreement binding them to lifelong marriage, renouncing divorce and remarriage, and awarding all community property to the “wronged party” in a civil divorce. But some canonists view an agreement like this as unnecessary and even dangerous. A marriage nullity case is not a question of who is right and who is wrong, nor is it a question (strictly speaking) of who is “at fault” for the failure of the marriage in question. What a marriage nullity case is about is the allegation, usually by one of the two parties to the marriage in question, that their marriage was [at the time of the wedding]invalid. The Church isn’t and shouldn’t be an arbiter of fault or the judge of property disputes between couples. That’s the job of the civil law. St. Louis-Sanchez, on the other hand, argued that “canon law should be applied justly and equitably, not more or less strictly,” but just application might not lower the number of annulments, since many couples fail to accept the sacramental requirements of marriage when they enter into it. Zmirak mockingly called these types of weddings “scandalous farces” — where the spouses see no problem with divorce when things get tough. Zmirak also derided Catholic marriage prep over the last 40 years as “abysmal” and unfit to teach Catholics what marriage really means. But here, hope is clearly on the way. Numerous new pre-Cana programs based on the teachings of Blessed John Paul II are developing and growing in popularity, hopefully leading to more valid marriages and fewer annulments. 5. The at-fault party should have to wait 3-5 years to remarry. Determining who is at fault is problematic, as mentioned above. But a hard and fast prohibition on remarriage for a fixed time is also overly punitive. Tribunals have the power to impose a “vetitum” on particular individuals, keeping them from remarrying in the Church until they can demonstrate they are capable of doing so, but such limits are applied on a case-by-case basis. Preventing an entire class of people from remarrying for a specific period of time, not tailored to their individual circumstances, seems arbitrary and unjust to St. Louis-Sanchez. A vetitum “certainly should not be used as a coercive alternative to a fundamental revival in marriage catechesis,” affirmed Hendrickson. So if Zmirak’s proposals can’t fix marriage in five easy steps, what else can be done? The answers don’t lie in changes to the rules and procedures. As Hendrickson stated, “I don’t foresee that there is any magic switch to the procedural structures we have that can achieve” a solution to the crisis in Catholic marriage. “Ultimately, marriages fail because wounded persons marry other wounded persons,” said St. Louis-Sanchez. “The way to fix marriage is [for the Church]to walk with couples and facilitate their healing – from before their engagement until their fiftieth wedding anniversary.” This is not an easy fix. But few things are, especially when the issue matters so much to so many.